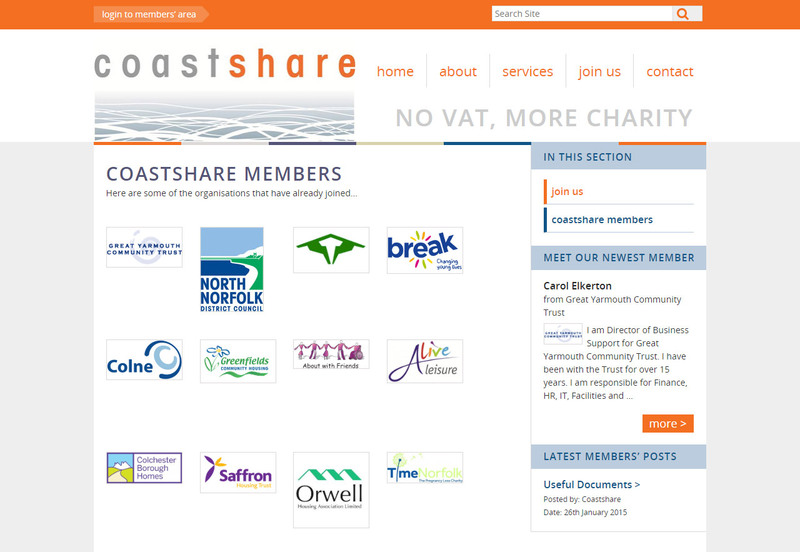 Coastshare is a not-for-profit organisation established by North Norfolk District Council. 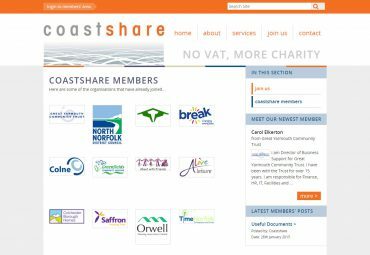 The purpose of their website is to raise awareness of the organisation’s aims – to enable not-for-profit organisations to access and provide services to each other at cost and free of VAT – and to provide a private area for the registered Coastshare members to communicate with each other. The site needed to be able to support multiple authors and restrict the Members’ Area access to approved logged-in users whilst allowing unrestricted access to the public facing pages of the site. The members needed to be able to communicate amongst themselves. Potential members needed to be able to join online via the site. 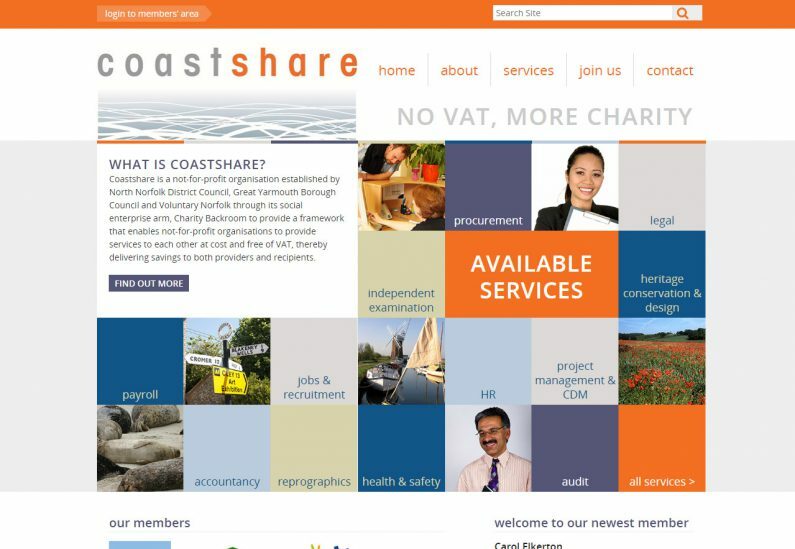 Coastshare had a small point of presence static HTML website that could not support the organisation’s needs. We suggested WordPress as the ideal solution due to its ability to handle and extend user roles and capabilities. A complete visual redesign of the site was required to give the site a dynamic new look along with a restructuring of the information architecture in order to enable site users to easily understand and access the information regarding the services that the organisation can provide.